New England is a region filled with American history, culture, and plenty to do. Between the beaches, harbors, museums, and parks, you’ll want to make sure make the most of your day. How can you make sure you see the best of New England in a day? Use our guide to planning a perfect day trip without missing a beat. 1. Weigh all of your options. Consider what is most important to you on the day of your visit. Do you want to connect with nature at Acadia National Park, travel back in time at the Mystic Seaport, or relax on the Casco Bay Islands? Even if your list has a little bit of everything, narrow it down to your top choices to make sure you don’t feel rushed at each stop. 2. Choose your modes of transportation. If you won’t be driving on your day trip, consider how you’ll make it to each stop. New England is home to plenty of bus and coach lines that will bring you everywhere on your list, but there’s no need to stop there! Explore by train, trolley, or even the Freedom Trail Walking Tour of the historic sites of Boston. 3. Plan For Surprises. With all that New England has to offer, there’s sure to be an extra attraction or stop that catches your eye along the way. Make time in your schedule to linger a little longer at fun stops like the Museum of Bad Art in Somerville or the Gillette Castle in East Haddam. This will give you extra time to explore new sites off the beaten path. 4. Take notes for your next trip. 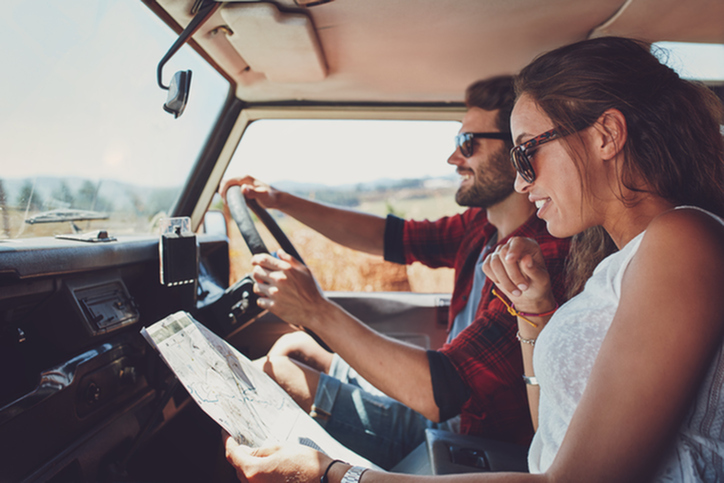 While you might pack a lot into one day trip, keep note of the attractions you weren’t able to fit in. Build a list for your next trip full of incredible attractions like the Great Vermont Corn Maze or Cove Island Park in Stamford, Connecticut. The next time you visit New England, you’ll have a full itinerary of exciting things to see and places to go.